Three new Oppo smartphones just passed through TENAA with model numbers PBCM30, PBCM10 and PBCT10 - all closely related to the recently launched Oppo R17 and R17 Pro although, we assume all three model numbers belong to a single device with different memory configurations. The design, appears to be a blend between the R17-series and the previous generation R15 because the back features a horizontal dual camera alignment in the upper left corner while the front has the waterdrop-styled notch. Judging by the images, we can expect a gradient glass on the back as well. All three models on TENAA feature the same octa-core chipset clocked at 1.95GHz, which probably means 2.0GHz. Our database showed quite a few octa-core CPUs clocked at 2.0GHz, but the Helio P60 and the brand new Snapdragon 670 were the only plausible options. Since the standard Oppo R17 runs the Snapdragon 670, it doesn't make sense for Oppo to release practically the same device, so this leaves us with the Helio P60. 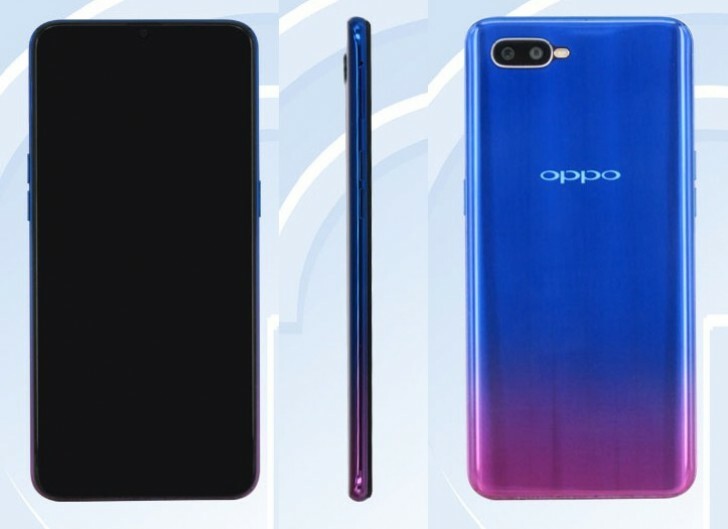 It's possible that the company is readying a more affordable Oppo R17s alteration of some sort. In terms of other specs, the handset features 16MP+2MP camera setup on the back and a 25MP front-facing one, the battery capacity is 3,500 mAh and runs Android 8.1 Oreo out of the box. Memory configurations are 6GB+64GB for the PBCM30 model, 4GB+128GB on the PBCM10 and once again 4GB+128GB for the PBCT10. What's interesting is the photos don't show a fingerprint sensor, which means it's either hiding under the display or the R17s has none at all and relies solely on facial recognition. Since the handset has already passed TENAA certification, it could launch sooner than expected and we will know more details when it happens.